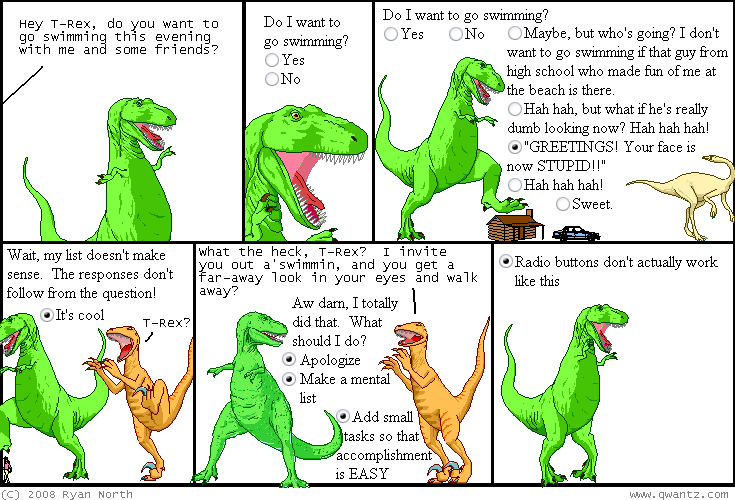 Dinosaur Comics - February 20th, 2008 - awesome fun times! So some of you may be familiar with the fantastic Dramatic Reading idea from YTMND - if not, enjoy! Vegeta987 (of Isotown fame) made a Flash animation of another Dramatic Reading (Half Life: Full Life Consequences) and it's finally done and I think you'll like it! Here's Part 1, Part 2, and Part 3.